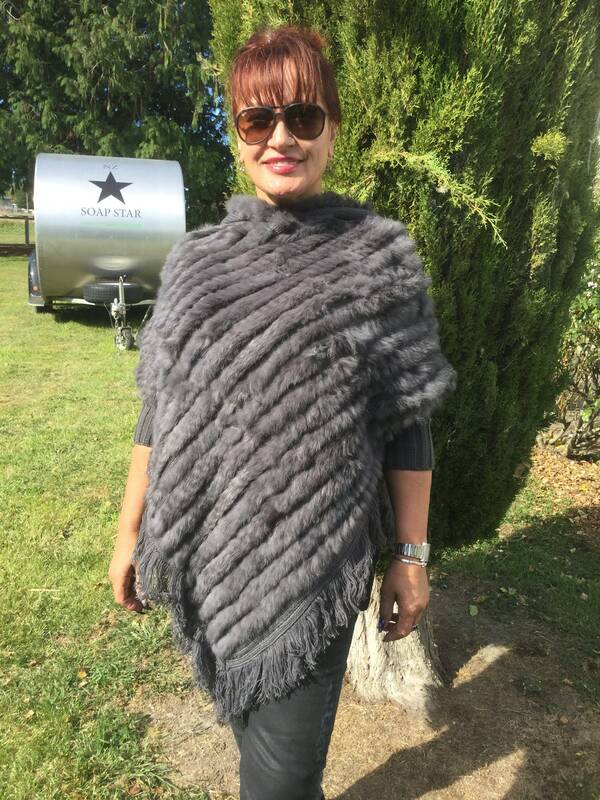 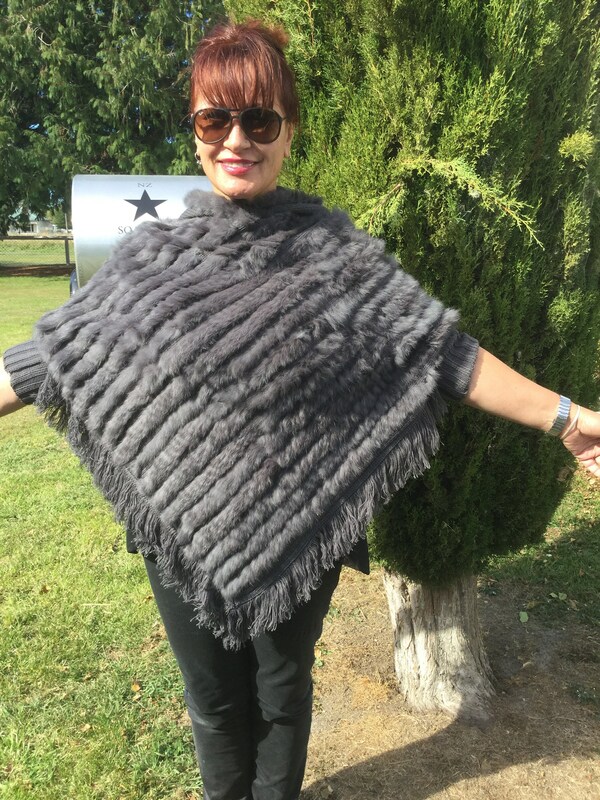 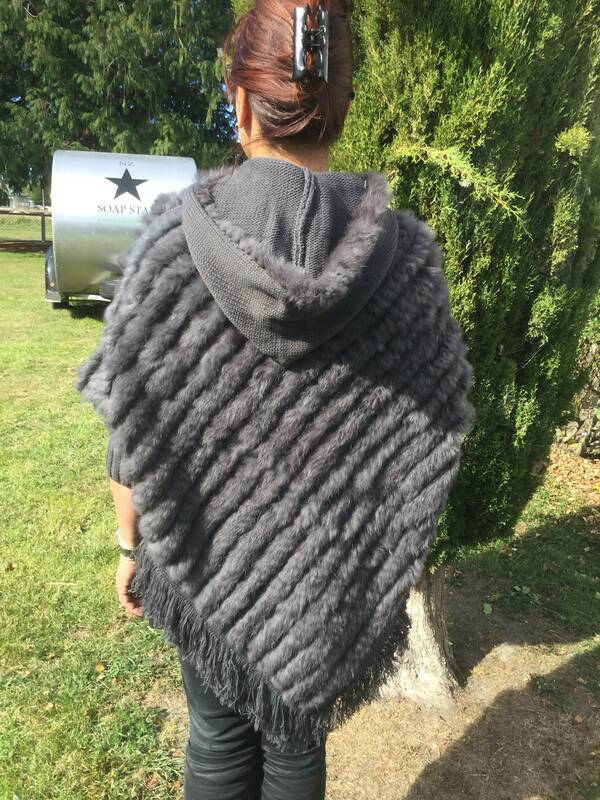 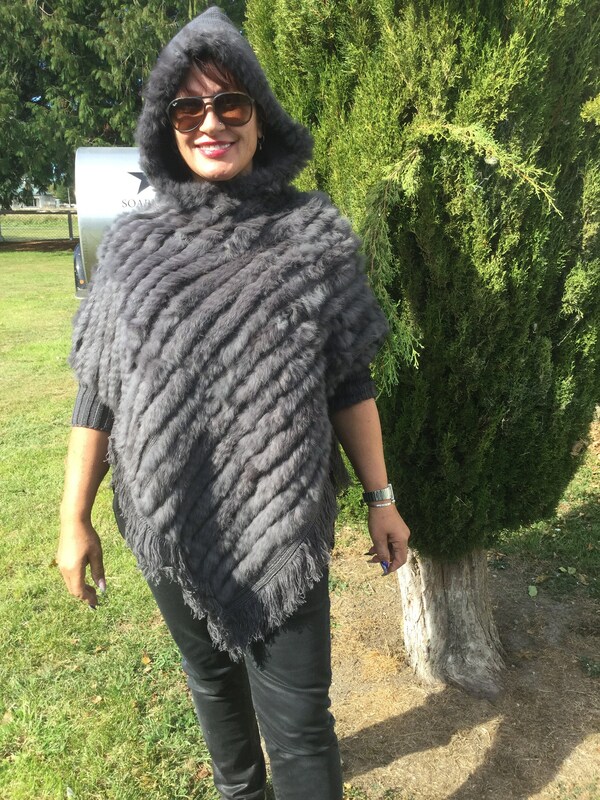 Long poncho made from very soft knitted rabbit fur. 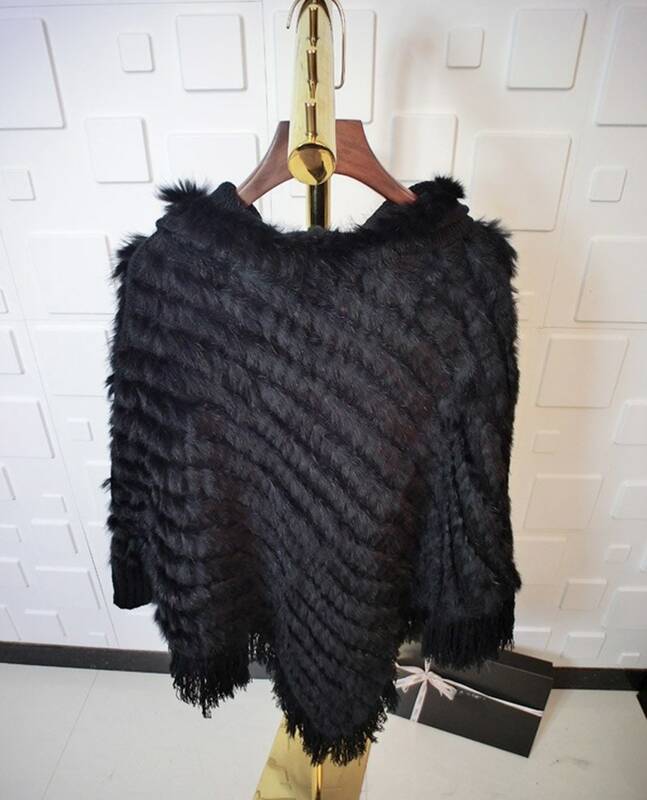 It measures 80cm long - NOT including the tassle and 80cm across. 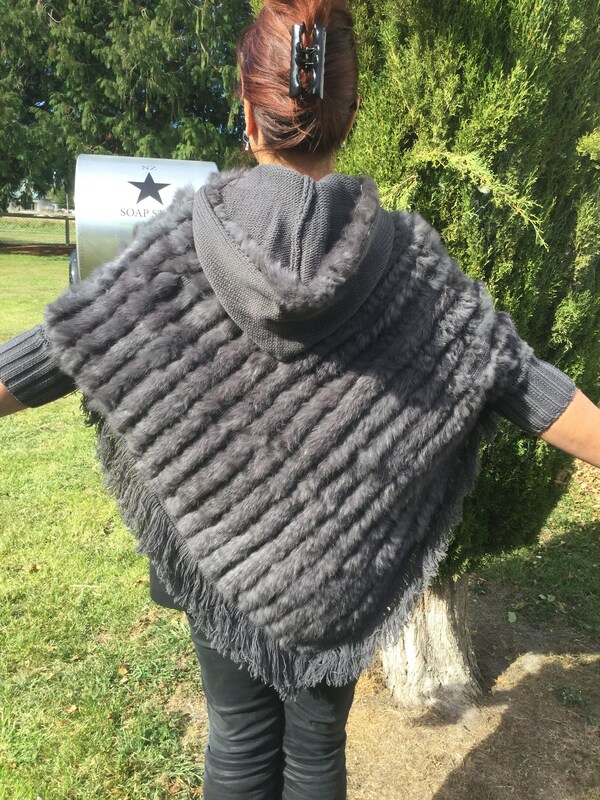 Please keep in mind that these measurements are taken only of the front of the item when laying on a flat bench.